When we launched 9/11 Truth News, we knew we would be attacked. And no one on the team was surprised when the first attacks came from people claiming to be on the side of 9/11 truth. On Monday August 30, 2010, it came to my attention that I was the target of three hit pieces that had been published in rapid succession. The most prominent of these attacks came from Kevin Barrett, a self-declared 9/11 truth leader with a long history of actions and statements considered by many to be extremely discrediting to the 9/11 truth movement. 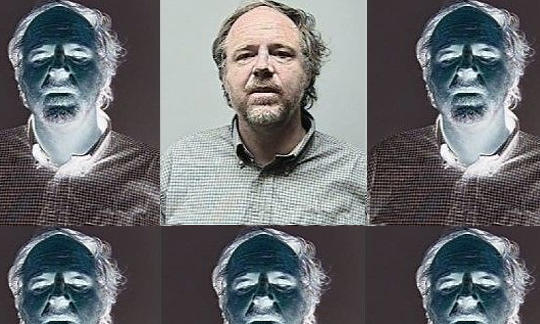 Under an ugly, libelous headline on his “Truth Jihad” blog, Barrett issued a venomous litany of bizarre accusations against me: I’m probably an agent of the state, perhaps stalking his family, I’m a “wrecker” getting him kicked off conference lineups and – to top it off – there’s evidence that I may actually be living a secret double life as a supporter of the official 9/11 story. Barrett has been accusing associates of mine of being agents for years now, so these kinds of weird lies are nothing new. This time though, his headlined defamation was something altogether more sickening. The filth oozing forth from Kevin Barrett does not deserve to be dignified with any kind of response whatsoever. But the fact that these smears represent an attack on a dedicated activist with a very strong record – by a supposed “9/11 truth leader” with a large audience (multiple appearances on FOX News, a radio show, books for sale) – at a very critical time in this movement – demands that the issue be addressed. Barrett claims, based on “evidence” provided to him by a blogger named Adam Syed (aka kameelyun), that I have been attempting to deceive the public about the nature of my relationship with Mark Rothenberg, a family friend who was often referred to as “uncle Mickey”. Mark Rothenberg was murdered on 9/11. I have been working for 9/11 truth and justice since shortly after his death. I’m not selling anything and I have never tried to profit from my work for 9/11 justice – far from it. I have dedicated my life to this cause and I have given freely of my time, energy and money over the course of the past eight and a half years. Kevin Barrett, Adam Syed and Screw Loose Change – a bottom-feeding anti-9/11 truth blog – are claiming that I have attempted to portray myself as a 9/11 family member while not having lost a blood relative; that I’m hiding the fact that it was only a family friend who was murdered on that day. Their accusations are not only untrue, but have been presented in such an extremely vicious way that it is clear that their only intention is to damage my reputation and cause irreparable harm to my work. In April 2007, shortly after launching the Eleventh Day of Every Month campaign, I was a guest on the Alex Jones show. Alex Jones has millions of listeners. I have never referred to myself as a “9/11 family member”. During 2007 and 2008, I hosted a radio show called Truth Revolution Radio. I only mentioned Mickey a few times during the run of the show, but each time I did I noted the exact nature of my relationship to him. There are dozens of documented examples showing that I’ve frequently and publicly clarified my connection to Mark Rothenberg. And quite frankly, if I choose to refer to Mickey in the way that I remember him, then I will damn well do so. For me to call Mark Rothenberg my “uncle Mickey” is 100% accurate – that’s who he was. And history will not look kindly on individuals who have attacked those who lost loved ones on 9/11. Even less so, those who have attacked the survivors of 9/11 victims in the name of 9/11 truth. Kevin Barrett, Adam Syed and Screw Loose Change have taken a video of me talking to someone on the street along with a screenshot of a rough draft of my bio, and they have concocted a sleazy GOP-style smear campaign against me, curiously timed to coincide with the launch of 9/11 Truth News. Three hit pieces published within two days. Are these people working together to defame me and my work, or is it just an ugly coincidence? I trust that anyone with any intelligence or conscience will see how vile the actions of Barrett, Syed and Screw Loose Change are. I lost a loved one and a lot more on 9/11 and for nearly nine years I have given my life to fighting for truth and justice. What these individuals are doing is sick and disgusting. Over the past several years, Kevin Barrett has provided us with an endless series of offensive and discrediting actions: Jew baiting, Holocaust denial, advocating violence, promotion of some of the worst debunked 9/11 theories, calls for journalists to be hanged, suggesting zionists be put in concentration camps, calls for Americans to support the Taliban, accusing activists of being agents, arrests for domestic abuse – on and on and on. The corporate media love to feature him because he provides so much material with which to discredit our cause. And yet, with each new instant PR disaster, Barrett has retained the support of several prominent 9/11 truth “leaders” – to the utter dismay and disgust of many with common sense and decency. I personally had never spoken out against Barrett until very recently, when I had had enough of him accusing my colleagues of being agents. You can be sure that I will now speak out against him whenever necessary until the day he makes amends or the day he disappears from the 9/11 truth movement. I encourage any supporters of Kevin Barrett or Adam Syed who might be reading this to take a very good look at what these people are doing – and take a good look at yourself, too. Ask yourself: is this really the kind of thing you want to be involved with? Is this really what you support? Is this what you want the 9/11 truth movement to be? The future may depend on your answer. Who Really Benefits From 9/11 and the War on Terror? A discussion on this topic can be found here.